The almost obsolete Google Nexus One – predecessor to the Google Nexus S – has received a minor update to its operating system. Google has begun rolling out Android 2.3.6 Gingerbread (Build: GRK39F) for it and we’ll guide you on how you can install this update manually, right now. The Nexus One was Google’s first flagship Android smartphone. Released back in early 2010, the smartphone is nearly obsolete now. While its design remains timeless (many current-gen HTC phones carry similar designs), its internal hardware does not: The limited internal memory, a spotty touchscreen and poor battery life have not, at all, passed the test of time. This is especially because of the emergence of smartphones which perform better and last longer. Step 2: Rename the file to update.zip. Step 3: Connect your Nexus One to your computer and transfer update.zip to the root of your phone’s microSD card, it should not be inside any folder. Step 4: Turn off your Nexus One. Step 5: Keep the Volume Down button pressed and turn on the phone. Scroll down to recovery and press the power/lock button. Step 6: You should now see a triangle with an exclamation mark. Press Power + Volume Up button. Step 7: A menu will appear. Select sdcard:update.zip. The screen will say install from sdcard complete. Step 8: You must now select reboot system now. 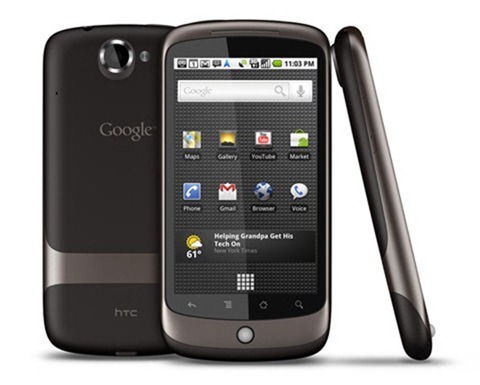 If you followed the steps correctly, your Nexus One shall now boot into Android 2.3.6 Gingerbread (GRK39F). To confirm if the update has successfully installed, go to Settings > About phone and check under Android version and Build number. You should see Android 2.3.6 under Android version and GRK39F under Build number.